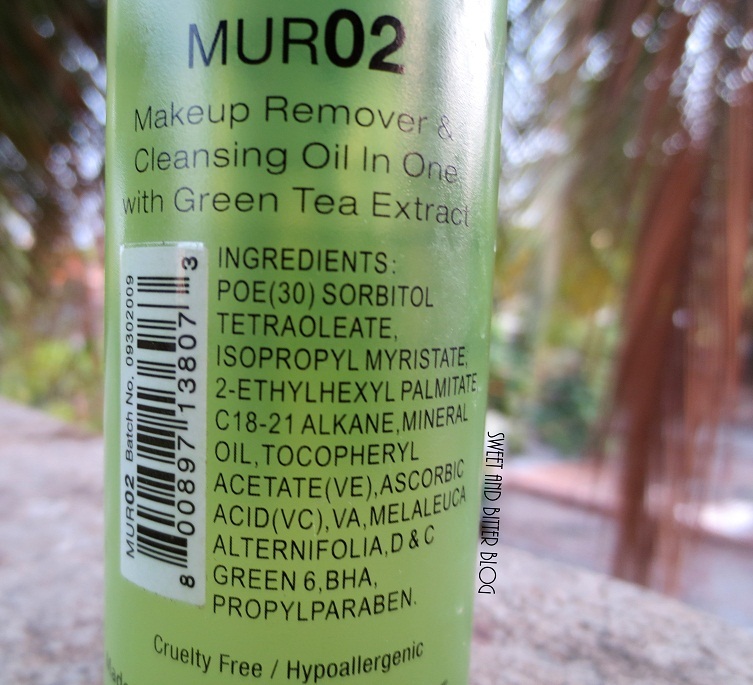 I always wanted to try a cleansing oil but there are hardly any options here. On top of my list was definitely MAC Cleanse Off Oil but the price tag of 1500 INR for just 150 ml was not something I am ready for yet. This NYX one is sold for 1300 INR for 100ml...yup MORE than MAC. I had dreams of getting something from Sephora but nothing seemed great. 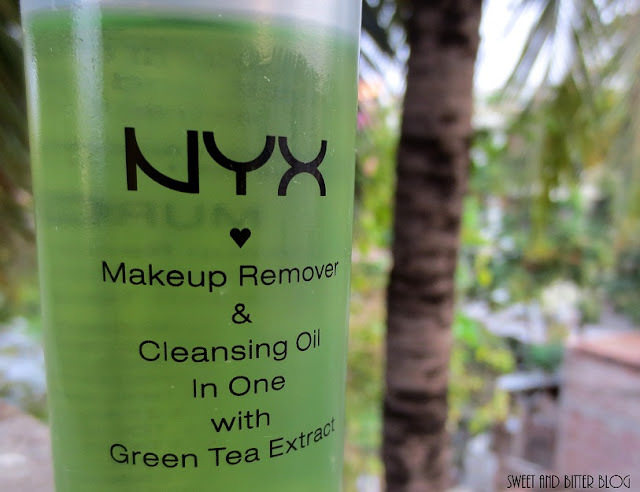 But on Women's Day Healthkart had an offer of flat 50% off on NYX products and then I decided - let's give a try to NYX Makeup Remover And Cleansing Oil. Happy to see that Mineral Oil is not the main component. 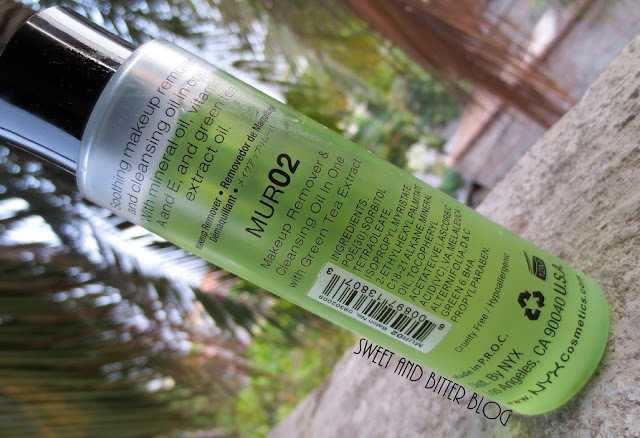 Most cleansing oil have it as it main ingredient. I have used the most long lasting products that I could find near by - Revlon Whipped Cream, Revlon Blackest Black, Mabelline Color Tatoo Bad On Bronze, NYX Electric Blue, Maybelline Illegal Length Mascara, Maybelline Super Stay Non Stop Red and a Bourjois Lip Liner. You do not end need to rub much. 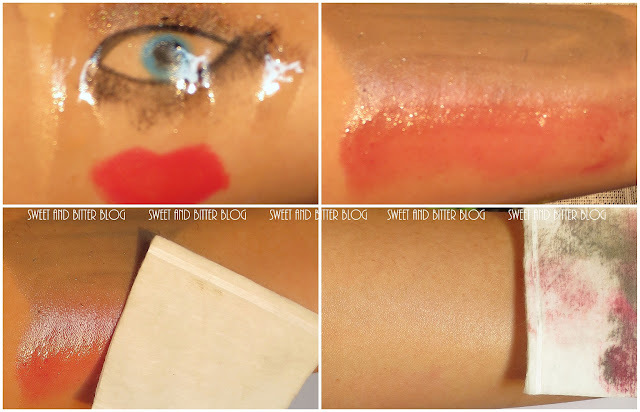 Just gently massage, use a cotton pad to remove the oil and you are left with nothing. 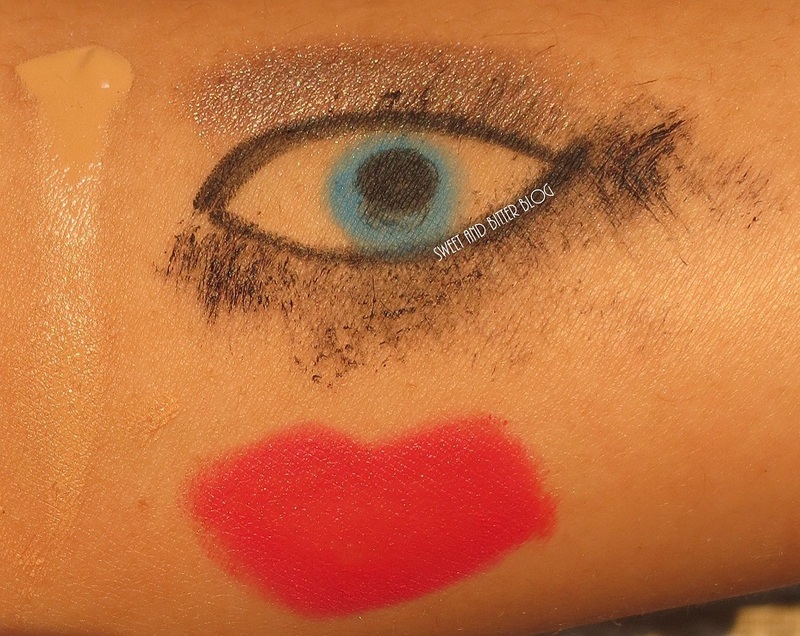 I could see very very faint hint of Maybelline Non Stop Red. It comes in a long transperant plastic bottle with a screw cap and stopper. The stopper do regulate the flow but because its OIL, there is not much help here that can be done. I personally will never risk to travel with this. 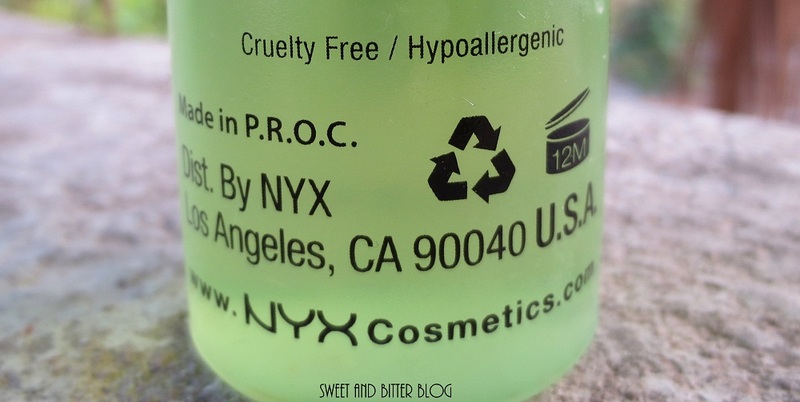 All NYX products are Crueltry Free. Does it work fantastically. No need to rub your eyes or face. Does not sting eyes. It has sometime sting if I try to open eyes but its not always. I am yet to formalize the theory on this. I have used olive oils and almond oils previously and I could not dare to open my eyes because of stingy feel. Does not leave any oily feel behind (even in this summer) after I wipe it out with cotton pad and wash my face with water. I won't repurchase ever for the full price and I will not recommend anyone as well. Though it works, I am not happy with the price tag at all. I might not even by if I get a off again. I will continue using my faithful Maybelline Bi-phase before I find something great in cleansing oil department. but does MAC cleansing oil list mineral oil on the top? MAC Cleanse Off is mineral oil free. loved the review! it does works great! have you tried the color bar ones? Thank you so much for this. I was really looking for something for my oily skin type which has Tea tree so definately gonna try it. 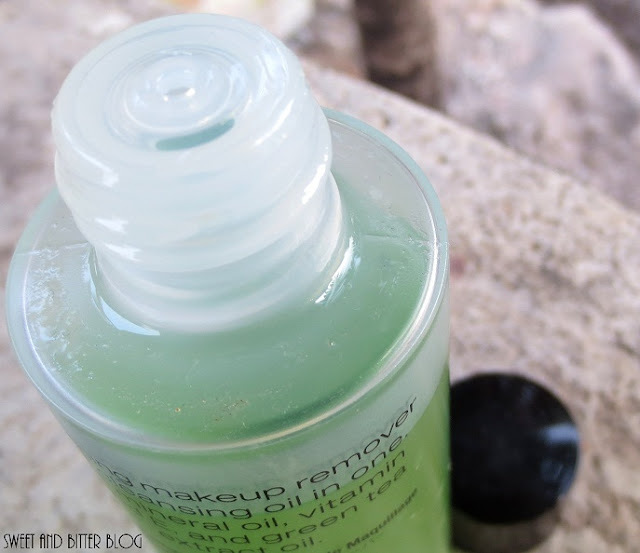 But i must say have used the Lakme Absolute Bi-Phased Make-up Remover and its not bad either.